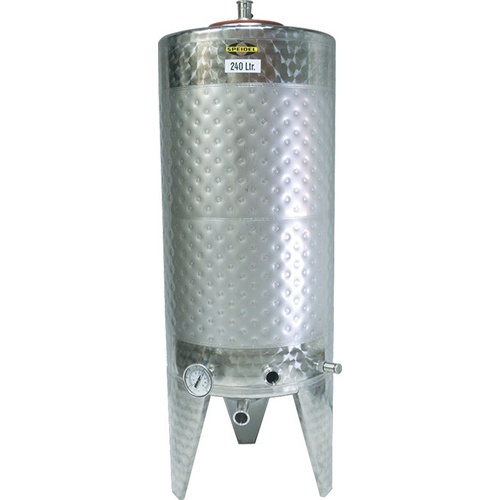 A 240L jacketed, mutli purpose tank built by Speidel of Germany that works well for beer, wine, spirits, cider, etc. Convenient top hatch makes cleaning and oaking easy. 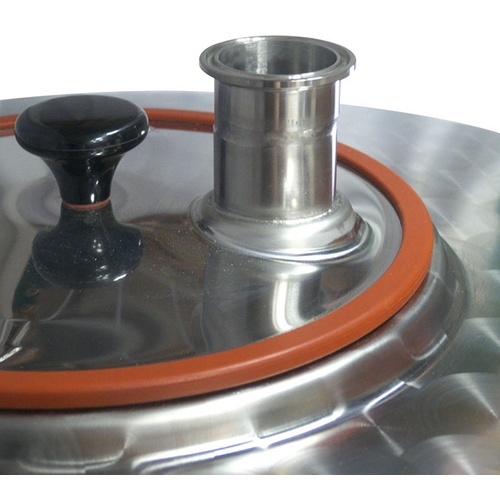 Heavy duty sealing mechanism and thick gasket ensure an air tight seal. The tanks will support a few p.s.i. 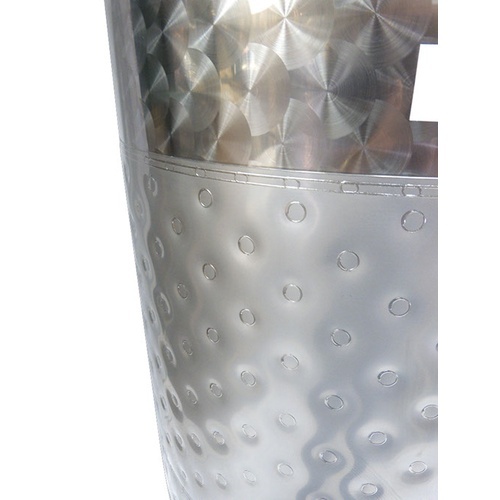 of pressure, however they are not pressure rated or designed to be used under pressure. 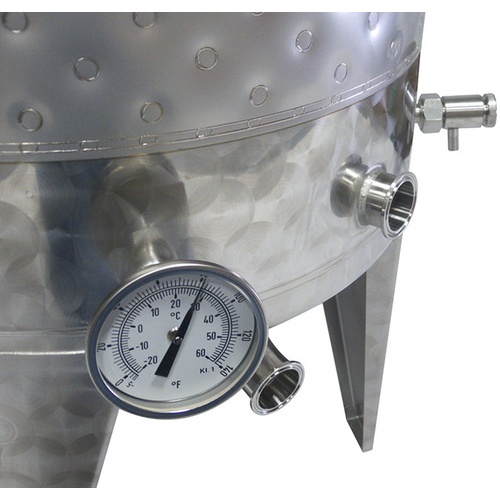 The inside is finished to Speidel quality standards. Bottom drain fittings are 1.5" Tri-Clamp. 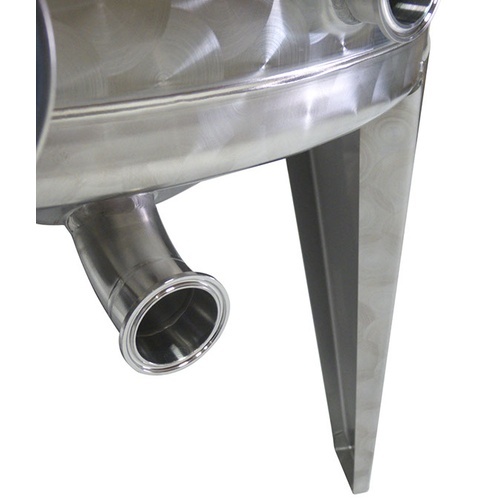 Flat bottom tanks do not have legs; conical tanks come standard with legs. Full Volume of 240l (63.4 gal).